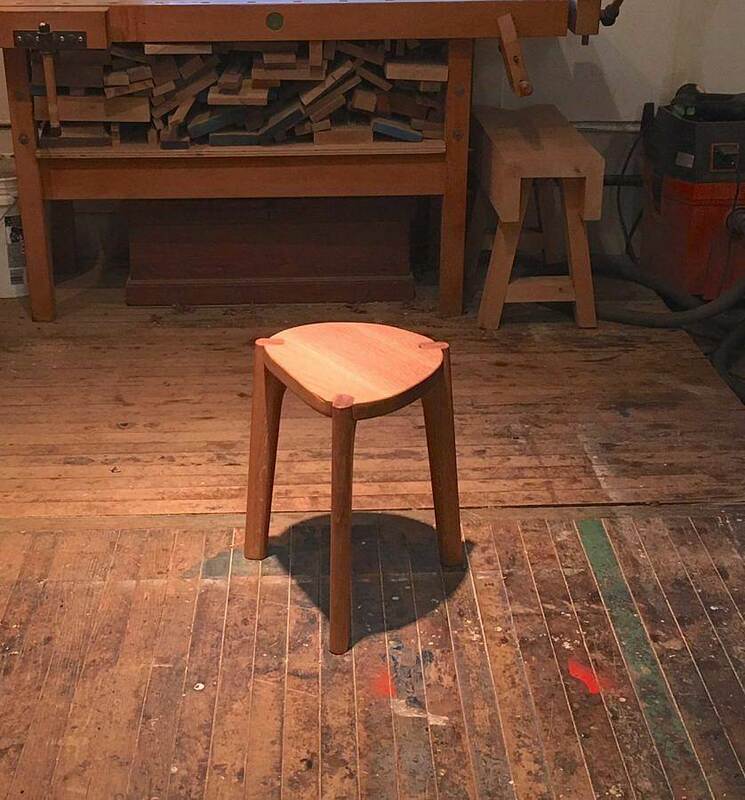 "Interested in exploring the systems of manufacture, design and culture and bringing form to objects based on research, observation and intuition," Seth Keller is a furniture designer and maker based in Chicago. He is also the director of the Architecture, Interior Architecture and Designed Objects department at the School of the Art Institute of Chicago. He has shown work all over the country and written for Woodworkers Guild of America among other publications. I am a furniture designer and maker and the Director of the Architecture, Interior Architecture and Designed Objects studio at SAIC. At SAIC, I run the studio and as faculty, teach a range of courses including the Reset Studio for Designed Objects graduates, Prototyping for Furniture and Advanced Milling which uses technology and robots for cutting three dimensional objects. I also have a personal studio where I build models and prototypes and singular bespoke objects for galleries or clients. I live in the Ravenswood area which is less urban than many areas of Chicago. My wife, two daughters and I live across the street from a park which has tons of green space, prairie restoration, beautiful Willow trees. In the summer, we go to Lake Michigan to swim as often as we can. The Chicago park system and the vast programming is really special. We take dance, swim and gymnastics and art classes. I ride my bike to SAIC at least 2 times a week down the lakefront all year long. Experiencing the elements, the lake, the outdoors in Chicago makes urban living palatable. I love my job at SAIC, and am inspired by my peers, staff and the students who surround me. I have access to incredible resources at both the school and in the museum. I share a studio in Rogers Park with another artist/designer. It’s a beautiful shop in a quiet two car garage. The Chicago art scene is open and manageable but lively and global. I like that Chicago has multiple art ‘nodes’ at Northwestern, SAIC, UIC and U of Chicago, so there’s always something new. I am involved in every aspect of the ‘furniture design world’. 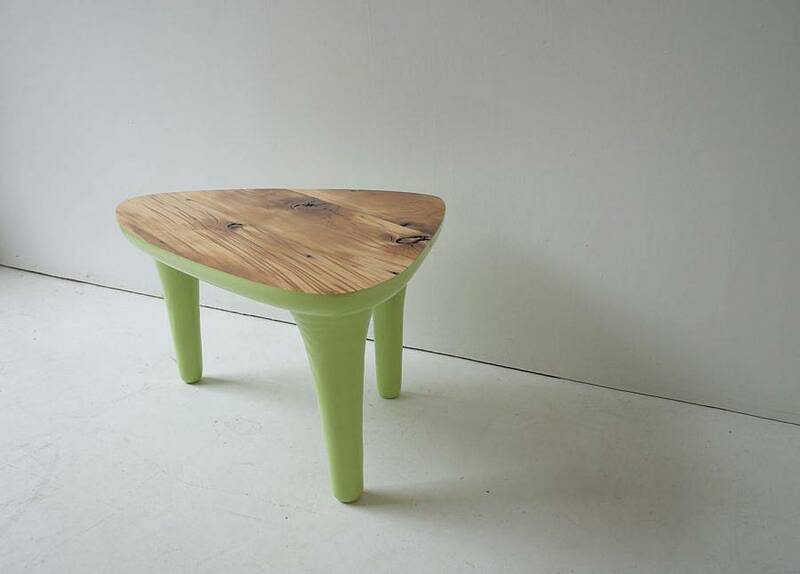 57th St. Design, a really amazing furniture manufacturer on the South Side recently started manufacturing 6 of my designs. Everything is made in Chicago and shipped throughout the US. They recently launched a program where they will take back any piece you buy from them and give store credit towards another furniture piece. I recently showed with 50 other artists at Open House Contemporary (OHC) in a show curated by John Preus. 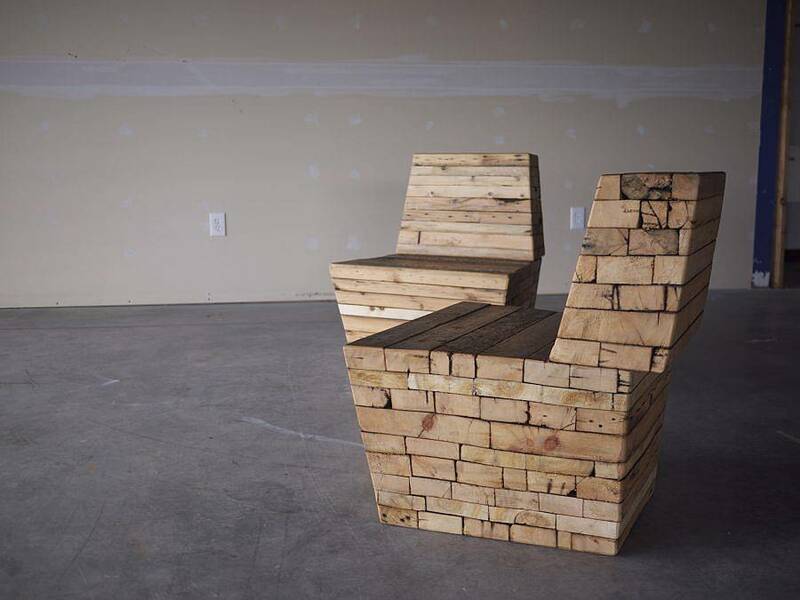 John inherited 4 semi loads of broken furniture from closed Chicago Public Schools, and asked artists and designers to make work with these materials. I made a project called ‘nature/nurture.’ I was interested in the idea of ‘willful or intentional neglect,’ which happened to the students from these closed schools, and tried to articulate this concept with my project. 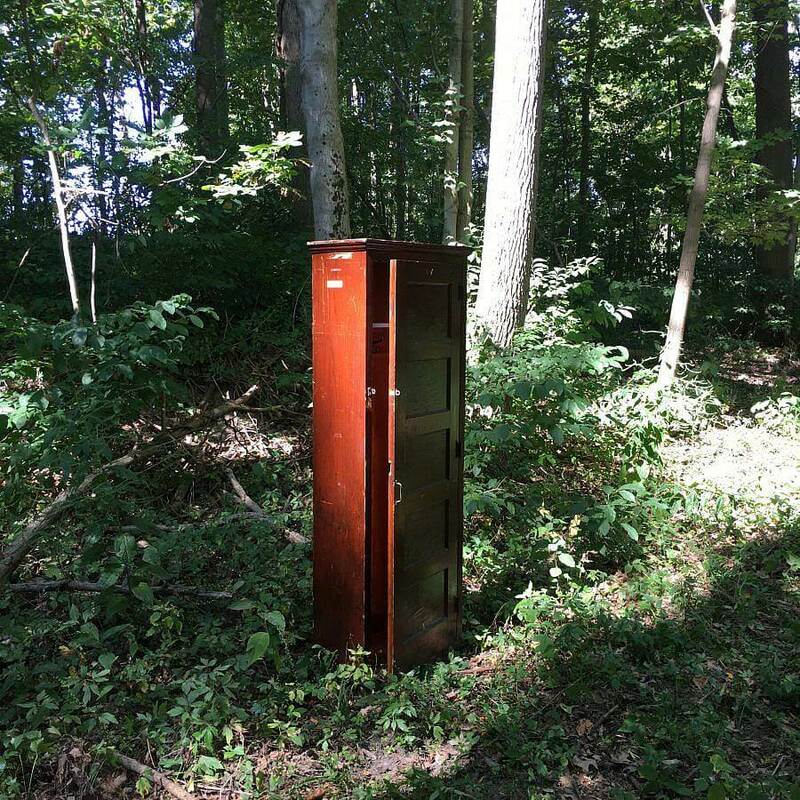 I took two cabinets and left one in the OHC gallery and left another in the woods in Indiana for 12 months. 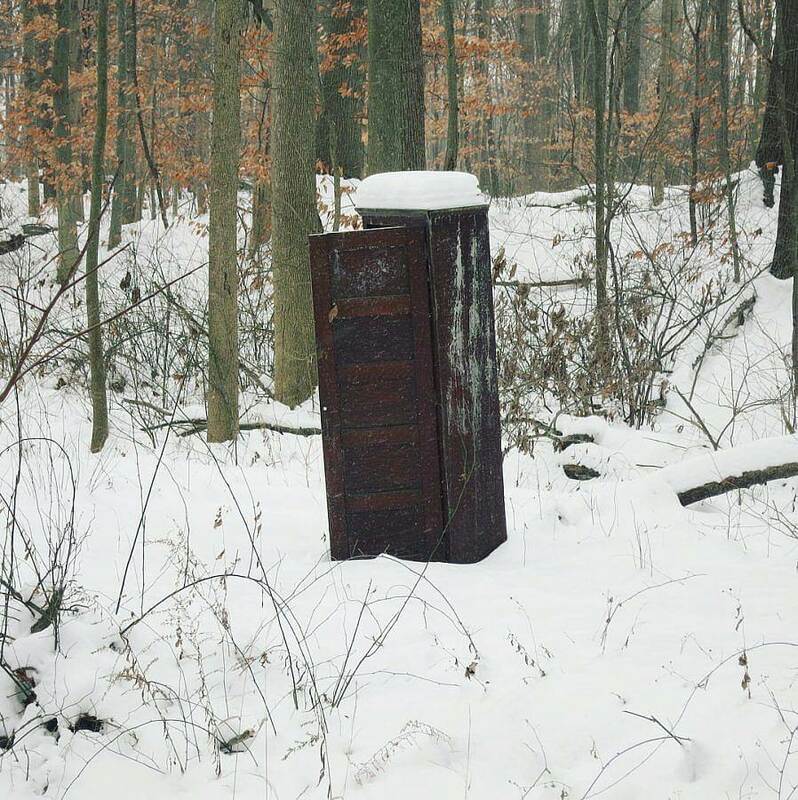 I visited the piece in the woods and took photos of it over this time and made a crude archive chronicling the effects of exposure and decay. It became decimated through exposure to ‘nature’, whereas the one that remained inside experienced the effects of ‘nurture.’ Reading Bachelard, these cabinets behave as mini-architecture in a way; residence for thoughts or dreams, possibly dashed. I intend to bring them together for an exhibition at some point. I design custom or bespoke objects for galleries or clients and just shipped a new piece from my Melt collection. Good Weather gallery will be bringing it to NADA Miami in December. I recently sold a Wingback Chair to a family in the Detroit area and I’m developing some models for a custom coffee table to accompany the chair. 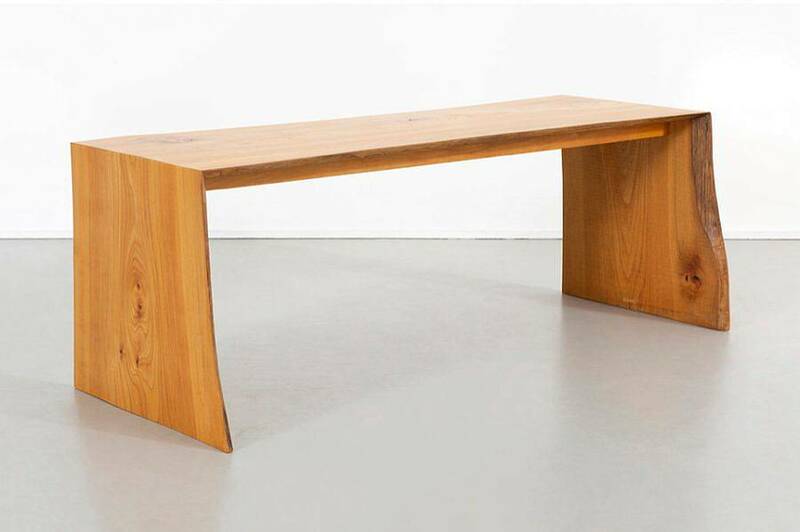 And lastly, I’m really excited that Chicago gallerist and furniture dealer Matthew Rachman Gallery just photographed my Sawmill Bench now available at his gallery. When I was growing up, I always thought I would be an architect, so I enrolled to study Civil Engineering. I was actually terrible at anything math related at the college level, so I ended up studying Literature and Art instead. When I graduated, I rode my bike from North Carolina to home in Minnesota which taught me a lot about self-reliance, solving problems and interacting with strangers. In Minnesota, I took a job building houses, which is a really good way to learn about ‘building’ and architecture. This was 20 years ago, and my experience pouring concrete, working all day in the hot sun, and setting windows and locks still frame my understanding of macro concepts of capital, labor, resources. When you build a house, you become intimate with materials, processes, tectonics, etc. So I framed houses, then built cabinets, then set doors, windows, then built furniture, and finally I made a mandolin. The level of precision got greater and greater, however, musical instruments required too much concentration from me. I backed off to furniture, and haven’t stopped. Through this process, I realized that there really isn’t a line between objects like furniture and sculpture. Each has something to say, and speaks to different people in different ways. I often come back to Heidegger, who (loosely translated) said ‘to build is to dwell’ and I read this statement as the idea that making or constructing things for oneself is among the ways in which we are actively beings. I think it’s good I didn’t become an architect, because architecture takes a lot longer than furniture. What artists or designers are you interested in right now? Always Alvar Aalto, Carlos Scarpa and Luis Barragan. Martin Puryear. Peter Zumthor. Carlo Mollino. Charlotte Perriand. Max Lamb. Peter Marigold. Also, many of my peers from graduate school, who are the among the best critics of my work. Ross Hansen, Chris Schanck, Jack Craig, Mark Baker, Kristina Gerig, Jonathan Muecke, Jay Sae Jung Oh. How do you situate yourself between the craft, fine art, and design worlds? Do you see your work as more of one thing? I don’t believe in drawing rigid lines between disciplines, as most of my work sits astride these borders. I’ll say this, I am interested in obsessive deep inquiry into anything, idea or concept, regardless of discipline. At the higher levels, craft, fine art and design require an absurd level of commitment, rigor, knowledge and tons of sacrifice. Painter Alex Katz said ‘A lot of artists don’t master their craft until they’re 35, but you can be a first-class conceptual artist when you’re eighteen.’ I like that thought. I’m always excited about the next thing. I want to design and build my own cabin in the woods in Northern Michigan or Minnesota where I can test materials and ideas. Do you have a specific set of principles or ideas that you apply to each piece you make? Everything is rigorous, but isn’t always universal. I do look at my work through a loose architectural lens. 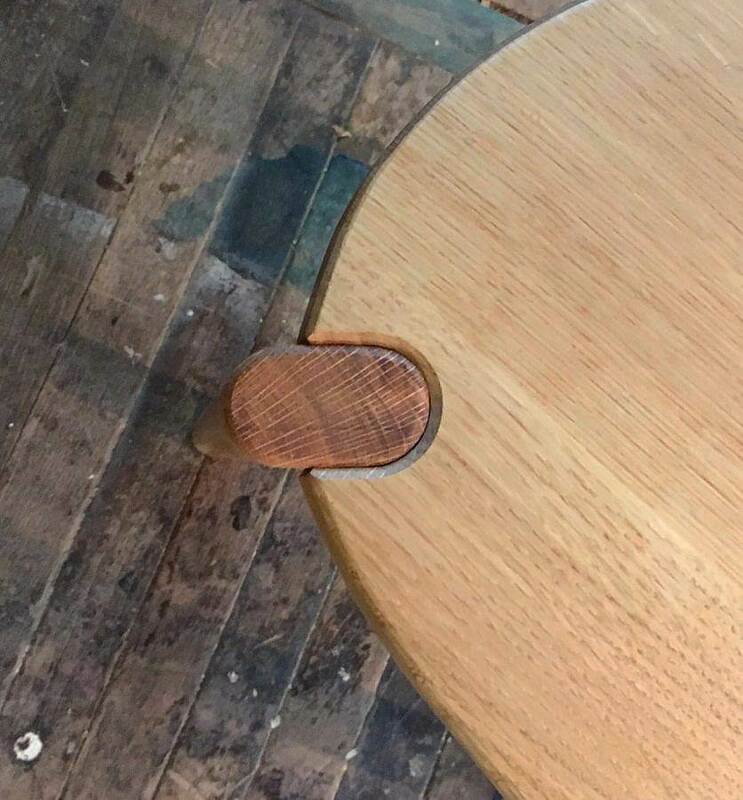 Sometimes it’s a table built with lumber pulled from a home slated for demolition. Other times, like in my Sawmill Bench, it’s using FEA (Finite Element Analysis), an engineering software, to determine the thinnest material to achieve a structure to support a body. I’m generally interested and/or troubled by consumption and waste, so these concepts become factors. Often I’ll challenge a material or a process, so it can be very personal. What’s your favorite material or process to work with and why? I like using material properties and process as a departure point for making work, but it’s only fair to say I’m most comfortable with wood. 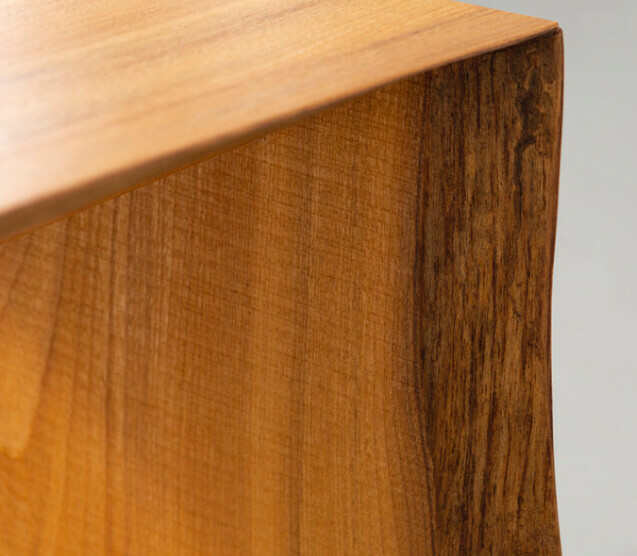 I have used a sawmill to mill trees, so I have a pretty intimate understanding of wood as a ‘raw’ material. Trees are a great metaphor for so many things. Growth, cycles, decay, and it happens to be warm and beautiful as well. However, I’m interested in some atypical application and properties of wood… whether that involves making my own particle board, working with super thin wood, waste wood, or steam bending, I like to push our understanding of the capabilities of wood, and create unexpected haptic experiences. Can you share one of the best or worst reactions you’ve gotten to your work? 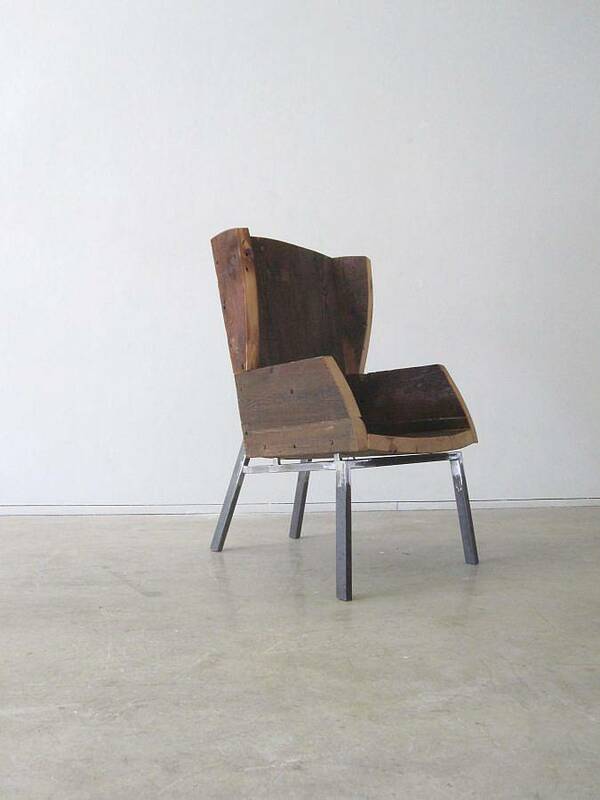 I showed two pieces at the Brushwood Art Center a couple of years ago, my Wingback Chair and The Sawmill Bench. For me these pieces explore concepts of inherent material properties, and are made with the same intellectual rigor and attention to craft. I chatted with a guest at the opening and he was raving, just wild about the bench. After 15 minutes, I asked him to look at my chair which went through the same design/art/craft filters, and he said, ‘you made that chair? I hate that chair!’ and then we just kept talking about the bench. Okay. I’m torn. I enjoy nature, mountains, hiking, skiing, biking. I love the cadence and repetition of the pedal stroke, the challenge of a long hike, and the exhaustion of being outdoors. But I also love working in my studio. It’s a pretty similar feeling; solving a problem with a design or trying to perfect a specific wood joint. I lose myself in either physical process which I find most gratifying.